Young athletes are raising money for children with cancer. 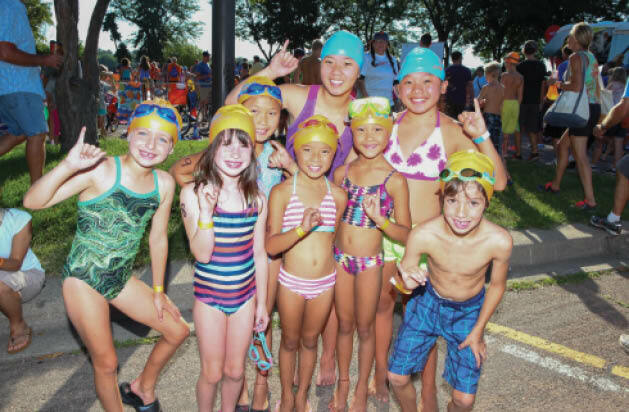 The Pinky Swear Kids Triathlon returns to Lake Ann Park in Chanhassen. A popular children’s triathlon is returning to its home in Chanhassen. The 13th annual Hy-Vee Pinky Swear Kids Triathlon (formerly the Miracles of Mitch Kids Triathlon) is a non-timed, non-competitive race for children ages 6-18. Participants at the event on August 20 at Lake Ann Park will swim, bike and run, but they’ll also raise money for the Pinky Swear Foundation, which helps families of children with cancer. The foundation is also organizing a kids triathlon on August 6 in Minneapolis, and hosted several kids triathlons throughout the United States earlier this summer.